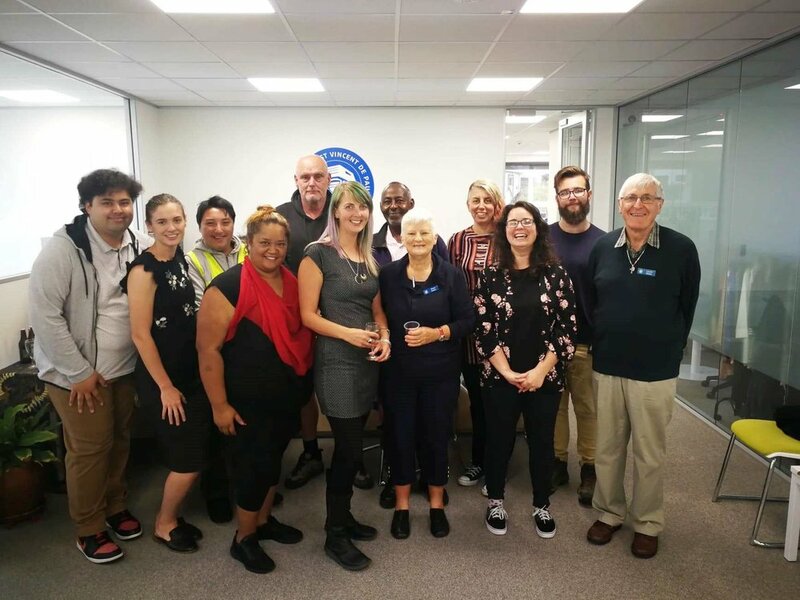 We farewelled Kim Sheehan, Community Social Worker for Vinnies last month as she moved on to a new position with the DHB. 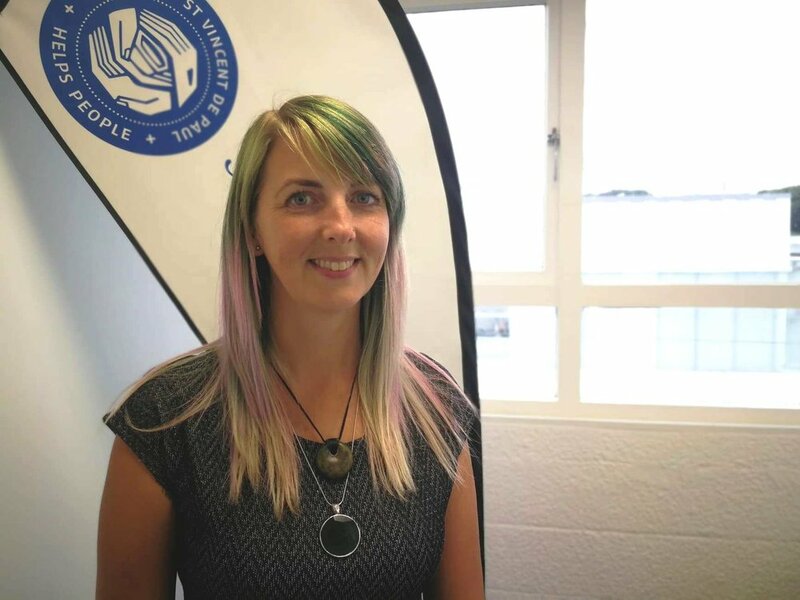 Kim has been the sole Social Worker for Vinnies Wellington for the past 3 years. In those short years, she has supported more than 2150 families and individuals. Providing a service full of compassion, empathy and determination. “Thank you for everything you have done for the community through your time at Vinnies. We wish you every success as you move forward in your Social Work career. As I write this, it was two weeks ago that I said goodbye to my Vinnies colleagues, my clients and wider community contacts. The week that I said these goodbyes (and desperately tried to clean up three years worth of mess in my office and on my computer) was fraught with worry and sadness. Worry about whether I was making a good decision and worry about how clients would react to my departure. Sadness because goodbyes are emotionally tough, especially when you are saying multiple over the course of a single day! To accompany my message of farewell and heartache, I thought I might also reflect on the past three years I spent with Vinnies as their social worker. This was the first role I had as a qualified, registered social worker. I had just moved back to Wellington, it was a gloriously warm summer and I was three months pregnant with my surrogate baby, Thea (unbeknownst to my new colleagues!). My first year in the role was full of better work stories (but if I’m honest, they continued throughout the following years too). From supporting single mums dealing with the struggles of raising children with disabilities, advocating for parents to keep their children in their care, battling with government departments to get clients’ rightfully owed back payments, fighting for people to remain safely and warmly housed, interesting immigration issues, to that one time I may have teetered on the edge of going a step too far for a client, where I found myself climbing the fire escape of a boarding house at 4am on a Sunday to ensure my client wasn’t going to miss a flight to be reunited with her family! It’s been a hell of a ride, and one I may come to miss. (I know it was a challenge for me!). To my Vinnies whānau I miss you so much already, as do I miss the people I helped support, and came to know. I wish you all the very best. “How lucky I am to have something that makes saying goodbye so hard.” – Winnie The Pooh.